As an optician, I approve of this joke, but I am probably making a spectacle of myself. This conversation is getting unsightly. You're right; this calls for some vitreous humor. As far as eye can see, these puns are getting worse. You're just being opaque. Personally, I like jokes from right across the spectrum. On a more serious note, studies show the vast majority of rays rack up multiple refractions after going to prism, particularly those with ultra-violet tendencies. 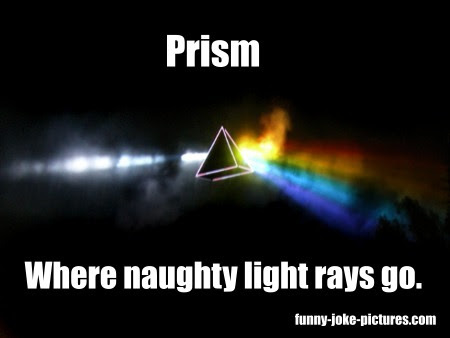 Prism rarely gets the light to change its rays.